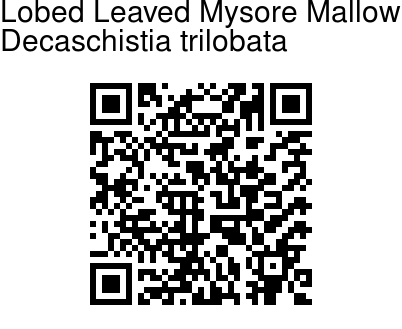 Lobed Leaved Mysore Mallow is a rare shrub, about 1 m high, found in deciduous forests and scrub jungles in hilly terrain of Western Ghats. Middle and lower leaves are deeply 3-lobed; lobes lancelike to oblong-lancelike; margins serrate, tip sharp. Flowers occur in leaf axils, either solitary or clustered. Bracteoles not exceeding half the length of the calyx. 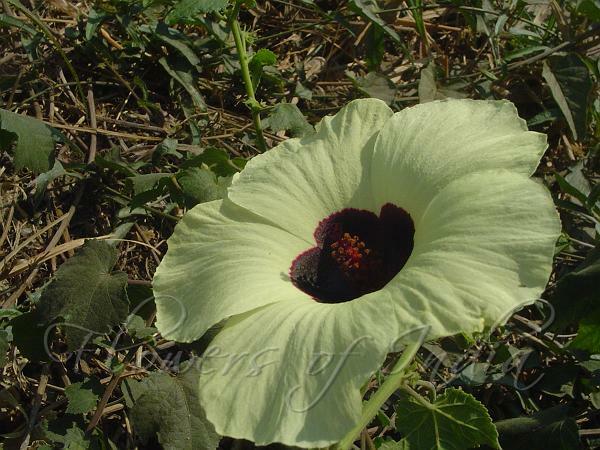 Flower 5 cm in diameter, yellow with a purple centre, hairy outside. Capsules densely hairy. Seeds kidney-shaped, smooth. Flowering: November-March.